© Absolute Misdemeanor™®: What Is A Tax Deduction? 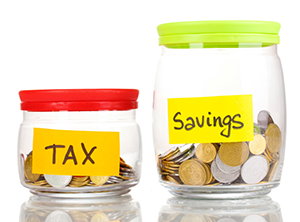 After deducting tax reliefs from your annual income, you can still reduce your chargeable income with tax deductions. In Malaysia, a tax deduction is similar to a tax relief, where it reduces your chargeable income. Tax deductions are a result of Gifts and Donations. Donations are only tax deductible if the donations are made to Government approved charitable organisation or directly to the Government, and you must keep the receipt of the donation. For income tax 2017, if your chargeable income is RM55,000, and you’ve donated RM2,500 to an approved charitable organisation, you are allowed to deduct 7% of your aggregate income to reduce your chargeable income. Gift of money to the Government, State Government or Local Authorities. Gift of money to Approved Institutions or Organisations. Gift of money or cost of contribution in kind for any Approved Sports Activity or Sports Body. Gift of money or cost of contribution in kind for any Approved Project of National Interest Approved by Ministry of Finance. Gift of artefacts, manuscripts or paintings. Gift of money for provision of Library Facilities or to Libraries. Gift of money or contribution in kind for the provision of facilities in Public Places for the benefit of disabled persons. Gift of money or medical equipment to any healthcare facility approved by the Ministry of Health. Gift of paintings to the National Art Gallery or any State Art Gallery. Of course, you’re not limited to just one deduction. If you’ve donated to multiples of the above you can deduct for them all accordingly.